If you ever desire door installation Queenstown, Maryland services, check out King Door and Lock Maryland and DC. You’re going to be impressed with our comprehensive selection of door replacement and repair services for homeowners and business owners. Is the doorway of your home worn out and in serious need of replacing? Is your garage door in such lousy shape that one could hardly get it to open nowadays? It truly is particularly important for companies to own operational and proper entry doors. Whether you require a door for a business or home, or a new garage door, King Door and Lock is your efficient and friendly, 24/7/365, outstanding Queen Anne’s County, MD door installation company. In the event your commercial building is in need of garage door repair or replacement, then we are your experienced and trained specialists for commercial garage door installation and repair. Utilize our full door services to ensure that our business will help your business to succeed. Our fast and courteous professionals will get to your to your promptly to let you know precisely what your installation or repair will cost you. We will subsequently deal with the job properly and courteously so you can concentrate on your own business. Are you thinking of installing a new garage door for your Queenstown home or office? King Door and Lock Maryland and DC has an expert team to install and repair garage doors. It is necessary that a garage door be taken care of by experts. The garage is the ‘home’ for your car and various additional possessions that many of us keep in there: lawnmowers, leaf blowers, bikes, and so forth. It is necessary that your garage doors remain safe and functional. You want the job done correctly by our qualified technicians making use of their advanced tools and equipment which allow them to work on any job of this nature. Maybe you already have a garage door, but it isn’t doing its job properly anymore. For the same explanations listed above, you ought to make sure that garage door repair is finished correctly at the beginning to secure the valuables you keep inside. Our experienced professionals will examine your garage door and tell you if it requires to be replaced or if it can simply be repaired. We always tell you what it is going to cost up front so there will be no hidden fees when you receive the invoice. Our company has all of your home door needs covered. Is your storm door falling off its hinges or seen much better times in terms of the condition the door itself is in? Our experienced and trustworthy experts will check out the problem and, inform you about exactly what a storm door repair or storm door installation is going to cost. The entry door of your property will be the first thing visitors see as soon as stepping into your residence. An entrance door installation from King Door and Lock gives off professionalism, workmanship, and high caliber to anyone who walks through it. When you invest in entry door installation from King Door and Lock, you’ll get up-front prices so you know precisely what you will pay for. You’ll have certainty with the work that we carry out when installing one of your doors. We can also work on that back door opening onto the backyard or patio, whether it’s a regular hinged door or a sliding glass door. Based on the state of the patio door or sliding glass door, we are able to either repair it or change it out entirely. King Door and Lock is renowned for offering the finest door installation Queenstown, Queen Anne’s County assistance. Door repair, replacement, and installation needs for commercial properties may be greatly dissimilar to a residence, therefore make sure you employ the service of professionals in commercial door installation and repair. Your office may have several entry doors that will need to operate smoothly alongside one another whenever a customer comes and goes. These particular doors will more than likely possess considerably more complex built-in locking mechanisms in comparison to the ordinary door knob with a key hole present in a good number of households. At King Door and Lock Maryland and DC, we’ve been fixing storefront doors for almost a decade. We realize, as a business ourselves, that you’re continually keeping an eye on your financial well being. At King Door and Lock, we are certain that our rates for door installation, repair, and/or replacement services are the most reasonable for the high quality service we offer in Queenstown, MD. Beware of companies with unbelievably low prices because it is highly likely that their work will likely be of lower craftsmanship. You are going to value our up-front rates combined with our quick, helpful service, so you’ll know your door standards will be dealt with quickly and there will be no hidden fees on the invoice. The workers at King Door and Lock Maryland and DC are your door industry professionals. For door installation Queenstown, Queen Anne’s County services, give us a call. We offer total door services: door installation, door replacement, door repair. Our 24 hour door expertise covers household doors, industrial doors, and garage doors. Besides exterior door repair, installation, or replacement we can also repair or remove and replace interior doors in a home or business. Interior doors we specialize in installing and repairing include bedroom doors, pocket doors, and closet doors. First, our professionals will establish the kind of work that must be completed. You may not necessarily have to have a brand-new door installed. It may be a matter of a door jamb repair or perhaps a door hinge repair. In the event the door frame is broken, then perhaps a door frame repair is all that will be required. Our specialists will find the issue, determine what really needs to be completed, and afterwards, give you up front rates so you have the details you need to make an informed decision. If you’re in Queenstown and the vicinity, contact us today. We’re here for you 24/7! 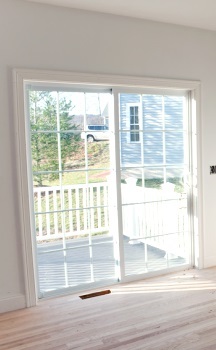 Our Door Installation Queenstown Services in Maryland https://kingdoorandlock.com/maryland-door-installation/queen-annes-county/queenstown/ 3.9/5 based upon 15 reviews.